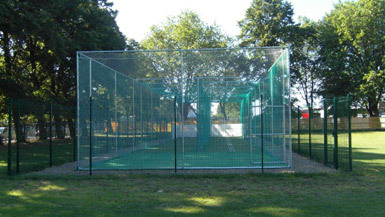 Brief: Working closely with the London Borough of Barking & Dagenham to evidence how a new non turf cricket nets facility would also serve other groups in the area, Barking CC won sought-after support from the Biffa Award fund. 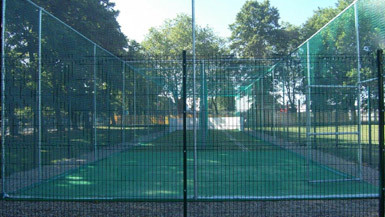 The aim was to create new non-turf cricket nets to help retain and nurture the club’s strong youth side. In addition to meeting high standards of performance, the facility had to be secure and robust enough to withstand heavy use not only from the club itself but other community groups in its public park setting. Once sufficient funds were in place, the club invited four suppliers to put forward proposals to be evaluated on criteria including quality of product, expertise and price. total-play Ltd was selected having performed well on all counts with a solution based on its tp365 ECB Approved Pitch System. To help ensure the facility was robust enough in construction to reflect its park setting, total-play also built in a number of bespoke factors to the design; it was fully enclosed to ensure cricket balls would not escape the system and end up going over the existing security fencing and striking passing people or cars, whilst extra security in the form of powder-coated twin-bar fencing was installed to the perimeter with a 1.5m path inside the new security fencing to provide both access and a viewing area for the Club’s coaches. With the design approved, the next challenge came with the installation – restrictions on construction in East London during the Olympics and Paralympics meant that the facility had to be installed within a strict two-week period. This was especially important as the site itself was located adjacent to an Olympic training venue within the park, so careful liaison between the London Borough of Barking & Dagenham, the club and the total-play team was essential to ensure that things ran smoothly with the minimum disruption to all parties. The total-play team carried out a successful installation in less than two weeks; despite heavy rainfall.